Print : Is Ford’s Alan Mulally Now in the Lead to Be New CEO of Microsoft? 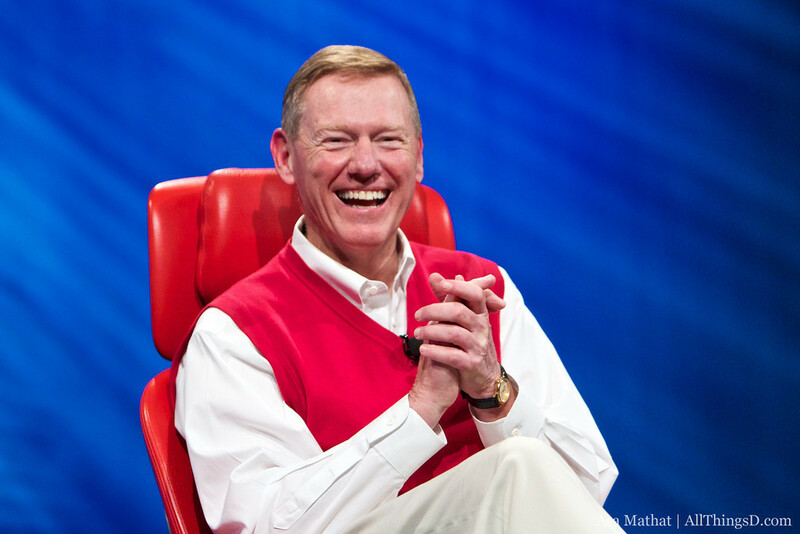 According to sources close to the situation, Ford CEO Alan Mulally has vaulted to the forefront of the candidates to become the new CEO of Microsoft. The typically ebullient Mulally was referring to the iconic sweater he often appears in with a Ford logo on it. People with knowledge of the situation said that while the 68-year-old Mulally — who has been CEO of Ford for seven years and is a well-known business star — was not seeking the job at first, he has become more amenable to the idea in recent weeks. Among the factors: Mulally was a former CEO of Boeing Commercial Airplanes in the Seattle area and has long wanted to return there, where he continues to keep a home. In addition, he was a close adviser to Microsoft CEO Steve Ballmer in his recent effort to create a new management structure for the company. In another interesting move, earlier this month, Reuters reported that the Ford board had given Mulally the ability to step down earlier from his position than is called for in his contract. Some speculated at the time that it could point to a position in the Obama administration. Or perhaps in a big tech company in desperate need of a jolt. Heidrick & Struggles has been conducting its search for a top exec to take over for Ballmer, who announced in August that he was stepping down within the year from his longtime post. Soon after, Microsoft bought Nokia for $7.2 billion and it was thought that its CEO, Stephen Elop, was the top contender — I even called him the one to beat — given the huge deal and his former experience at the company. Sources said that while Elop has remained a top candidate, there has been a shift in recent weeks toward Mulally, who has much turnaround experience. The other top internal exec in contention, said sources, is Microsoft exec Tony Bates, who had previously been CEO of Skype. Externally, several sources said former Microsoft exec and current Pivotal CEO Paul Maritz had been contacted. Sources said Mulally has not entered formal contract negotiations with Microsoft, but that discussions with him about the job have been serious. One person critical to the decision will be Microsoft Chairman and co-founder Bill Gates, who stepped away from his role as CEO many years ago. Five years ago, he left full-time work there to focus on his huge charitable organization, the Bill & Melinda Gates Foundation. But sources said that Gates has been spending more time at Microsoft over the last several weeks. He is also on the special committee to pick the new CEO and is, of course, one of Microsoft’s biggest shareholders. Also, he is, well, Bill Gates. Microsoft declined to comment and Mulally — who is one of my favorite CEOs since he returns emails and answers questions on the record — has yet to do so. But a Ford spokesman said Jay Cooney declined to comment on “speculation” and said that there is “no change from what we announced in November,” that Mulally’s tenure has been planned to run through 2014. Return to: Is Ford’s Alan Mulally Now in the Lead to Be New CEO of Microsoft?